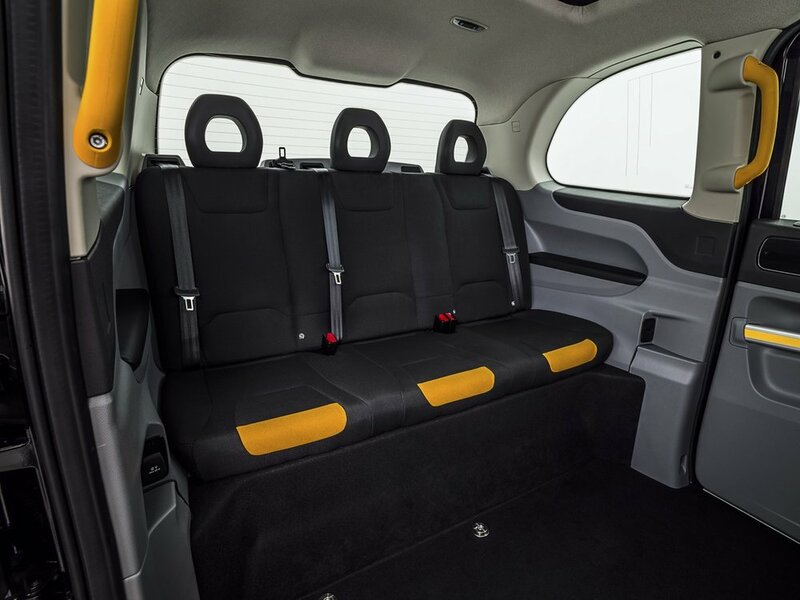 Launched early in 2017, TX is the first purpose-built ultra-low emission Taxi to go into production anywhere in the world. It was designed and engineered by Emerald in the UK with a team renowned for their expertise in lightweight structures, composites and powertrain technology. 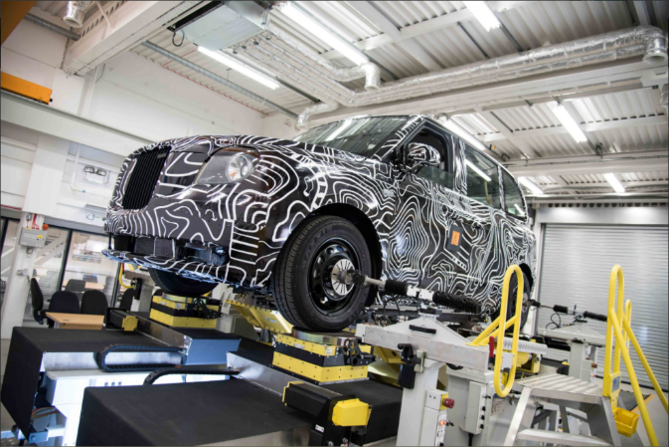 TX is built in a brand-new £300-million state-of-the-art facility in Coventry: the home of the UK automotive industry. 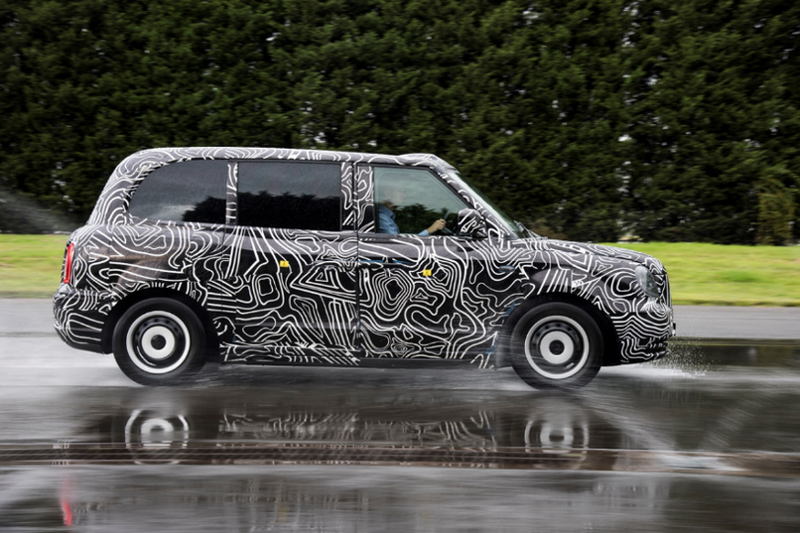 The TX is powered by a 31kWh high-voltage Lithium-Ion battery that offers 80 miles of pure EV range and provides constant drive to the rear wheels while a 1.5 litre 3-cylinder direct injection petrol ‘Range Extender’ engine under the bonnet is used to replenish used energy as required. In addition, there is a generator on the rear axle that creates electricity through regenerative braking, thus optimising the efficiency of these power sources. Three drive modes ensure optimal battery use and consumption. Together this means a taxi driver can expect over 400 miles of uninterrupted driving between refuelling. Based on driving 600 miles a week, a taxi driver can expect to save almost £5,000 in refuelling costs. The HV battery can be completely recharged using CCS or CHAdeMO charge stations. A 50-minute charge will add 45 miles of range to the HV battery (22kW charger) or a home charge using a 7kW unit can completely recharge the battery for as little as £3.20. With iconic modern styling that reflects the heritage of its predecessors, the all-new TX is instantly recognisable and benefits from a high-tech lightweight bonded aluminium structure, composite exterior panels, a fresh spacious interior with the option of a full-size panoramic glass roof, and a control system that offers market leading safety and performance. Since its introduction, the TX has received significant praise from press, public, cyclists, passengers and drivers alike, who are impressed by the quietness, roominess and above all green credentials of this game changer. The all new TX is already operational on the streets of London and other major UK cities as well as in the Netherlands and is soon to be seen effortlessly chauffeuring passengers in iconic style all over the world.